Incumbent Venezuelan president Nicolas Maduro has won the country's presidential election, according to the first official data. Nicolas Maduro was re-elected the president of Venezuela with a voter turnout of 46.01 percent, head of the National Electoral Council Tibisay Lucena said after the body had processed 92.6 percent of ballots. "With 92.6 percent of ballots processed and a 46.01-percent turnout, we can say that Nicolas Maduro obtained 5,823,718 votes, Henri Falcon got 1,820,552 and Javier Bertucci 952,000 votes," Lucena said. Lucena said that Maduro had been re-elected the Venezuelan president having received 68 percent of votes. Venezuela held presidential elections on Sunday. This year four candidates ran for the presidency: incumbent President Nicolas Maduro, Reinaldo Quijada, who supported Maduro's predecessor Hugo Chavez but is dissatisfied with the current government, opposition leader Falcon and Evangelical pastor Javier Bertucci. Opposition leader Henri Falcon announced earlier that he does not recognize the results of the vote due to alleged mass electoral violations. In his turn, Nicolas Maduro urged other candidates to reestablish communication, also adding, that foreign states had to give up their interference in the situation. 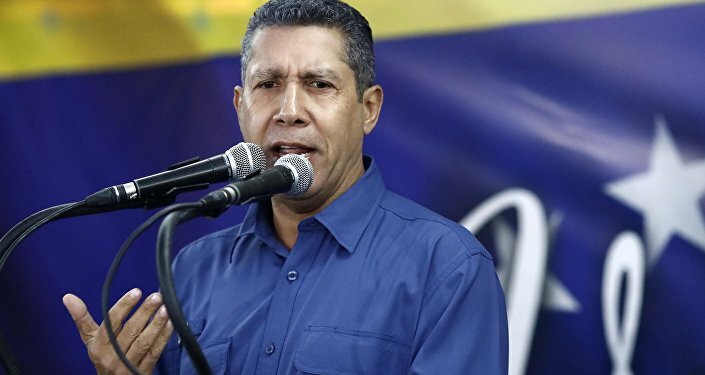 "I invite the candidates, who took part in the election, and their political teams to engage in the reconciliation process and national dialogue," re-elect president stated at a meeting with his supporters near the Miraflores Palace in Caracas. The vote comes, while Venezuela has been struggling with political and economic fallout from a global slump in oil prices and US sanctions after Washington blocked its investors from buying Venezuelan debt. Caracas, in turn, has accused Washington of interfering in its internal affairs and exerting economic and political pressure on Venezuela. The US State Department has stated that it considers the Venezuelan presidential election "illegitimate."